The struggles we face today are different than the ones we faced after the funeral. It was much easier back then. We were numb. The grieving process hadn't kicked in. Now, the physical heart wrenching pain of missing her is overwhelming. Six months or half of a year, is a long time to go without seeing anyone, let alone your only daughter. We're exhausted from crying. It's even more exhausting watching your spouse hurt. We miss being parents and hate the silence in our home. There are so many sounds I miss. The sound of both Preslee's and Pat's contagious laughs coming from our bedroom as they wrestled on our bed each morning is something I pray will never fade from my memory. I miss her noisy toys, the sound of her drinking from her sippy cup, and her jumping in her crib at night when she knew she should be asleep. Oh there is so much to miss. I've learned new situations can be difficult. I started student teaching on Monday. I've been placed in a great school, with a great teacher, with 21 lively 1st graders. The best part is the school is only two blocks away from my house. I'm going to be able to learn so much and grow as a teacher. One week down, and only 12 more to go. But I've been surprised how many of the girls remind me of the memories I have of Preslee, or how difficult recess duty was. It took me completely off guard to walk on the playground I use to take Preslee to during the summer when the park was too crowded. That's when it seems to be the hardest, when you don't have time to prepare for those memories to hit you like a ton of bricks. But I've learned overtime, those hard moments will lessen at school, just like they did last semester. But most of all I wanted to thank so many of you for your continual support. School became so hectic in November/December that I devoted every spare minute to school, my church calling, or the Pay it Forward Project. We received so many e-mails over the past few months I was desperately trying to keep up to speed with that as well, but became overwhelmed. I'm sorry. I know this is so impersonal, but please understand your letters and acts of kindness have meant the world to us. I've been shocked as those of you have shared your personal stories with the most perfect timing, and taught me what I needed to know. So many of your experiences and prayers have kept us going. Thank You. I know I say this a lot, but it's been life changing to see how wonderful people really are. I can't help but be so very grateful that we're put here on this earth surrounded by people to help us with our trials. To do this on our own would be impossible. I have two girls and a boy. With only my boy did I crave Jack In The Box tacos! I'm thinking boy! Your little baby bump is adorable, and we are excited for a new and wonderful chapter in your lives. You are an inspiration, Ashley. thinking of you and wishing you well. and your baby bump IS adorable. What a wonderful sight that bump is! Having a new baby to look forward to is such a special time. Feel the joy! Seriously cute baby bump! :D I hope your memories never fade and time continues to heal. People come and people go....but memories last forever. Your sweet little angle is preparing this new baby for the things that you will need. Four years later, I still cry when no one is watching. I still question why we can't choose when our time here on earth is gone, or why the strong, important leave us when WE are not prepared for them to go. Our heavenly father has such great plans for us. They are sometimes so hard to understand. Such a cute belly! :-) It is really funny how we get to "know' people through a blog. I thought of you this week knowing how that first week of student teaching is and prayed that it would go well. I continue to pray for both you and Pat as you face those unexpected moments. I know that God is big enough to overcome everything we face. What a beautiful bump!! Good luck with the student teaching. I also hope that those special sounds will never fade..somehow I think they will always be with you. I continue to think of you guys and pray for you. I'm so glad your belly is starting to show! I was wondering if it ever would! This just means we need to do catch up with each other soon so I can see you in person! Ash I totally craved taco bus all the time with Hayden! so funny I am thinking boy, cute bump :D hope we can get together soon! Those tacos are sounding pretty good right about now...I need a change from the food I have been craving, Subways sandwiches and cream cheese! I think the tacos will be better on my wallet! Check out ourbestbites.com, they have some pretty good pasta recipes with the tomato base and good luck with the student teaching! Okay, so I was just looking at the food blog I mentioned and the really good ones are the lasagna and tomato/artichoke pasta...enjoy making new things to take care of those cravings! Oh my, I craved tomato EVERYTHING when I was pregnant. I thought it was crazy since most people want the less healthy stuff. All I wanted was anything with tomatoes- salads, tacos (I nearly lived off of veggie burritos from Taco Time/Del Taco), tomato sandwiches, and vegetable soup. Yum! Congrats to you- on both the baby and the teaching gig! Praise the Lord! 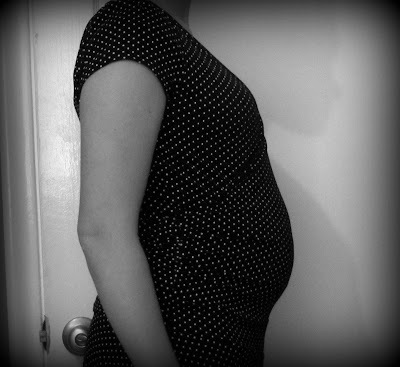 I have been praying for you and specifically that the Lord would bless you with more children in His perfect time. I will continue to pray for your family. You are precious! I am very sorry for your pain! Your little bump is a joy to see though. I thinking of the little note you sent me a lot. "We can do hard things" I try to remind myself of that as much as I can. Things seemed to be looking up then last friday the floor was pulled from under us. I have taken this fall harder then normal. Thank you for your prayes and I send them your way as well! Your belly is sooo cute Ash!! We are so excited for you!! brown meat and then add all the sauce together in one big pan. Get the small corn tortilla's and fry them in some hot oil. cut up lettuce, onions, cheese etc. I, too, craved tomato-based everything in my last pregnancy, and I had a boy! I've never eaten so much spaghetti in my life as those few months. You are a dear, sweet and wise young woman, far beyond your years. I am a stranger to you, led here hours after Preslee's accident. I am also a pediatric oncology nurse and have for years watched parents grieve the loss of their precious children. That pain you feel now will slowly fade back into that numbness you felt shortly after she died. She will ALWAYS be with you, always! And the memories, you won't lose those either. My brother died when he was 6 1/2...that was 43 years ago, my mom still has clear, distinct memories. And she doesn't have the benefit of video or tons of photos, the ease of that technology was not available in 1968. So rest easy dear one...your Preslee will fill your heart and go with you where ever you are because you will take her there. Congratulations on your new little bundle. I was so thrilled when you announced this glorious news! I still think and pray for you. You will always have those memories clearly within you. And I believe she is still with you on your hardest days. And on the other days she is with her little brother/sister telling them how fantastic of parents they get to go to be with. Very cute belly bump by the way! Pregnancy is such a hormonal time anyway I am so sorry that you have to go through so much. You have a grace in the way you handle it that inspires and touches so many. I am so sorry for your pain. Sprinkle a little cheese if desired. Layer each in a 9 by 13 pan...(I think that is the measurement) and bake at 350 for 30 min. It is so fast and easy if you prepare it all while the sausage browns and the noodles cook. It is SOOOOOOO yummy!!! My heart still aches for you! Prayers keep coming your way! It is always assumed that because we know about the plan of salvation and the clear knowledge we will meet those we love on the other side, we could just go on and the pain will go away..but it doesn't make the pain easier to bear. But as you have learned life does go on. Sometimes it shouldn't and we should be able to just cuddle up in bed and grief. But thankfully friends, callings and life doesn't let us. You look beautiful! I am praying for you! I always read here, but I do not always comment. We lost our Isaac at birth. I carried him to term knowing he would die, he had a fatal birth defect. I have other children. We've tried to grow our family again since he died April 2009, but I have had 3 miscarriages in a row. I am now happy to share we're pregnant again, 11 weeks along, this baby does not have Anencephaly, which is what killed our sweet Isaac. Anyways..... we were looked after by a bereavement team specializing in infant death. They share the 6 month mark is especially a doozie. So, I get it. It's so hard. It's still hard nearly two years later. The reminders last. What we're missing is apparent. All the memories and times we should have had with our son elude us. The heart ache is real - - it physically is painful. And the exhaustion is real. It's a battle. I have not lost the child the same age as yours, but it does get better. A little, tiny bit at a time, gets better. For us, is was about the 18 months mark. Which I am sure seems like eternity to you. Keep thinking of this little baby. While it won't be your sweet girl, I hope it will lesson the sting of the quiet and all that has been lost. We hope the same for us, to get a new chance at joy. Be patient with yourself. Be kind. Rest as much as you can. Take as much off your plate as you can. This season won't last forever. Nurture yourself so that you can get through, even if many do not understand. I have been keeping up with your blog since you posted about little Preslee last summer. You are such an inspiration to so many people. I almost lost my daughter at birth, and I admire your strength. Your new baby will be such a blessing to you both, but it sounds like you will never forget little precious Preslee. I am sure that your baby growing now, has been connected to little Preslee somehow. Congratulations to you both, and life really is an amazing thing! Your baby can never replace the one you lost, but can always give you comfort and help mend the wounds. I bet preslee prepared that little baby to help you in every way he/she can. :) Congratulations to you both! I'm not able to imagine your loss, but I can imagine that Sweet Preslee is busy instructing your new baby on all the good things that it will experience with you and Pat as Parents! The new baby will be well informed! Love that bump! Most of all, You Can Do Hard Things! You have proven it!! what a darling little tummy! you wear the bump well! i'm glad your nausea has worn off a little bit. i know i've said this every time i comment, but i'm so so sorry you and your sweet husband have to go through this. i can't even imagine the pain and anguish i would feel. you and pat handle it so gracefully, though. just think, preslee's up in heaven right now, playing with her little brother/sister, telling them about everything they can look forward to. she's telling them how to get you to laugh, how to be irresistible when they want something, and how much fun they are about to have. much love sent your way! hang in there and enjoy those little kicks! they're the most amazing thing to experience! First the bump is way cute!! Mine is finally starting to come along, I'm still in that way too awkward stage of people not wanting to ask if I'm pregnant :) Second I'm thinking boy too, I craved tacos, mexican food, spaghetti, fries with Gabe... if I could keep it down :) Jed and I went over to Drake and Tiana's on Christmas Eve and I think she is gonna have a boy too! So fun that you two get to experience pregnancy together!! And Third... Thank you to you and Pat for your words of inspiration (and also for Pat's laugh that makes me think of recess at Lincoln Elementary! I can't help but giggle!) Jed and I think of you guys so much, and know that you aren't far from our hearts!! I have commented here before-I live in Utah, and found your blog through a friend. I check your blog each day, it is a constant reminder for me to be grateful for all I have and to never take my children for granted. The other night I dreamed my four year old daughter died, and everything happened exactly the way it has for you and your family...I think from me reading about your situation. I woke up so sad, and couldn't even talk about my dream to anyone without crying and feeling an enormous amount of heartbreak...and the silly thing is, it was just a dream. But I know for you this is reality, and beyond heartbreaking. You are so strong to be able to blog, and inspire people the way you do! I truly look up to you, and cannot believe what an example you are to so many! I am so in awe of you and your husband for being strong, and faithful, and for this new baby to bring you the joy you deserve. Thank you so much for helping me feel the spirit, and for helping me remember what is really important each and every day. I pray you will never forget Presley's laugh, and all the memories you have of her, she is a beautiful little girl! Thank you so much! My heart breaks as I read this post. It is such a blessing to us to know that families are forever. I hope that you can find peace and comfort in that kowledge everyday. I think it helps to remember that this was the plan for Preslee. Heavenly Father knew how badly he would need her "home." I wish you all the happiness that you could ever want with this new little bundle. I am contiually praying for you. Adorable baby bump!! Glad you're starting to feel better. I am so sorry for the hurt and pain you and Pat have been going through. I am sure there is nothing worse. You have touched and helped more people then you will ever know. This sweet new little baby must be so special to come into your family. He/she will bless your life the same way you have blessed so many. Look up Martha Stewart's baked ravioli. Delish!!! i lost my mother two years ago, i know the pain your feeling. losing a daughter im sure is more difficult... know that the pain lessens as time goes by, allow the tears to flow it is your time to heal... it does get easier - i promise. you baby bump is beautiful and before you know it your house will be filled with those precious noises once again. what a blessing. I am a stranger, which I am sure a lot of your followers are. But I just wanted to quickly express my love to you and your sweet family. What an amazing relationship you and your husband must have. Congratulations on that little baby bump... A family member of mine lost a baby as well and was pregnant soon after. She always has said that it helped the ache in her heart. Prayers are always coming your way. I read here all the time. here along with other blogs of people whose children are ill or dying. Sometimes it's hard to read...I can't imagine trying to live it. But when I scrolled down and saw your baby bump, I am reminded that God is Good. We may never understand his plans...but someday we will get all the answers. God bless you and your family. Ashley, we were one of the recipients of your "I can do hard things" bags. Our son was admitted to Primary Childrens PICU last Saturday with a collapsed lung. Some of the hardest hours of my life were sitting on a hard vinyl sofa, counting minutes, and watching my lifeless little boy laying in his medically induced coma on a hospital bed. It was a whole other world as we came entwined with pulse rates, blood draws, and breathing tubes. I don't know if you will hear from all 300 of the recipients of your care bags-- but I wanted to let you know that they provided a glimmer of warmth and comfort in an overwhelmingly cold and confusing time in my life and I am grateful to you. Thank you. Hopefully by that one single post you will see the difference you are making for some parents struggling in a way similar to you. You are amazing and such an example...thank you for all you teach me! This photo is beautiful, especially love your shadow on the wall. I know we don't know each other in real life, but Heavenly Father keeps circling people who love you through me, and it is amazing. Please know you and your husband continue to be in my thoughts and prayers often. Congratulations on this tiny new life. I too found your blog through a friend and can't thank you enough for the inspiration for opening my eyes when I needed it. Life is so fragile and yet so amazing in what it teaches us allowing us to grow. You are incredible and you have such strength. Congrats on your new little one, I'm sure Preslee will be with all of you every step of the way. I have a recipe blog that you may enjoy. Today I am posting a new recipe. Taco lasagna lol. Your story is beautiful and so is your daughter.